Stopped by from the park to catch Sunday’s last act on the Summerstage – St Vincent, the guitar playing singer-songwriter with a really dirty guitar sound (on what looks like a Fender Jazzmaster, or possibly a Harmony Bobcat), while the vocals are rather pure and airy. Was a nice show. She has pretty cool songs, great attitude and a really good band (strings and horns and all that). 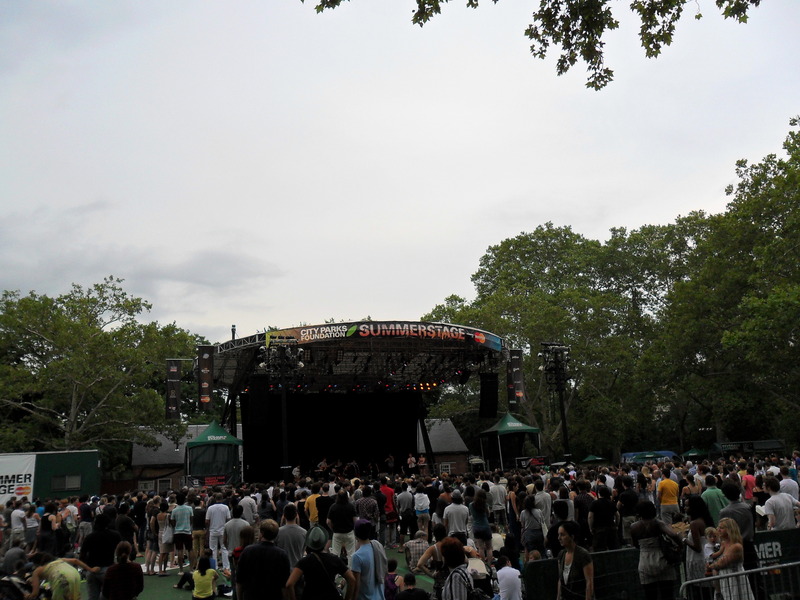 The event itself, Summerstage wasn’t crowded at all this Sunday. I was kind of surprised they took away my ginger ale at the gates, while they were actually selling booze inside. 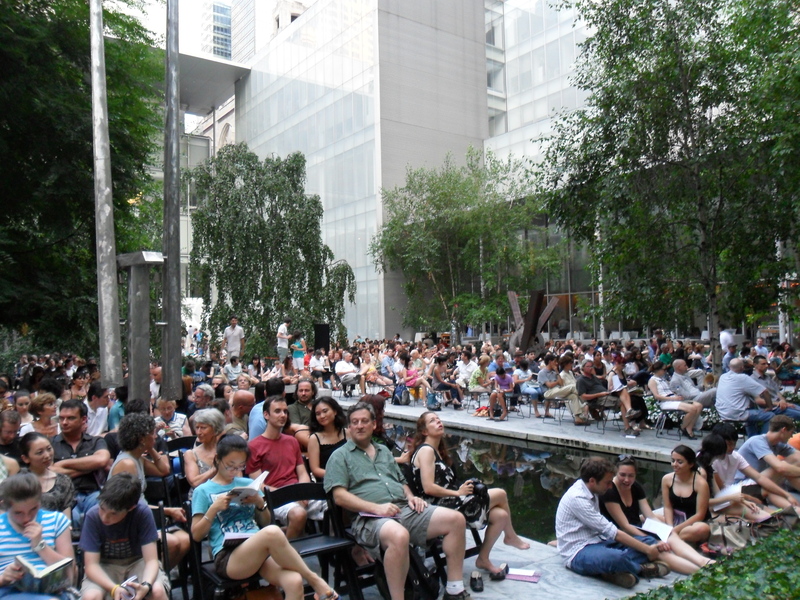 Later on me and my friend tried to get in to MoMA Sculpure Garden to hear Don Byron with Jason Moran and Billy Hart, but since they moved the concert to much less roomy indoors (fearing rain – it didn’t rain though), cueing behind the doors even 45 minutes early didn’t help. 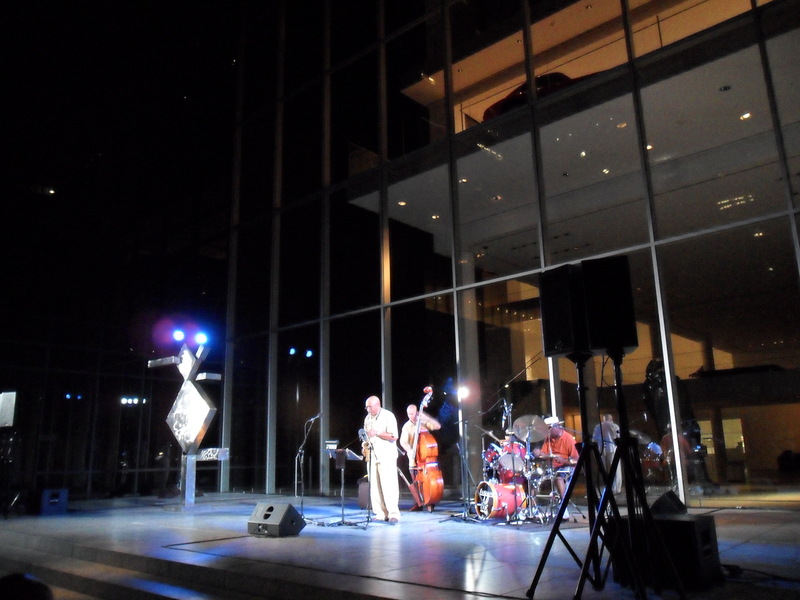 Fascinating music in really nice atmospheric surroundings of Museum of Modern Art Sculpture Garden, I was so glad to be able to get in (so many people had to stay behind the gates, unfortunately). Since some people found it a little too avant-garde, I finally ended up on an abandoned seat right in the front… 🙂 I especially loved Mark Helias’s bass playing so much – so musical, flawless technique… But anyway, I think this sort of thing, in a place like that – seems to be an exclusively New York style of event. 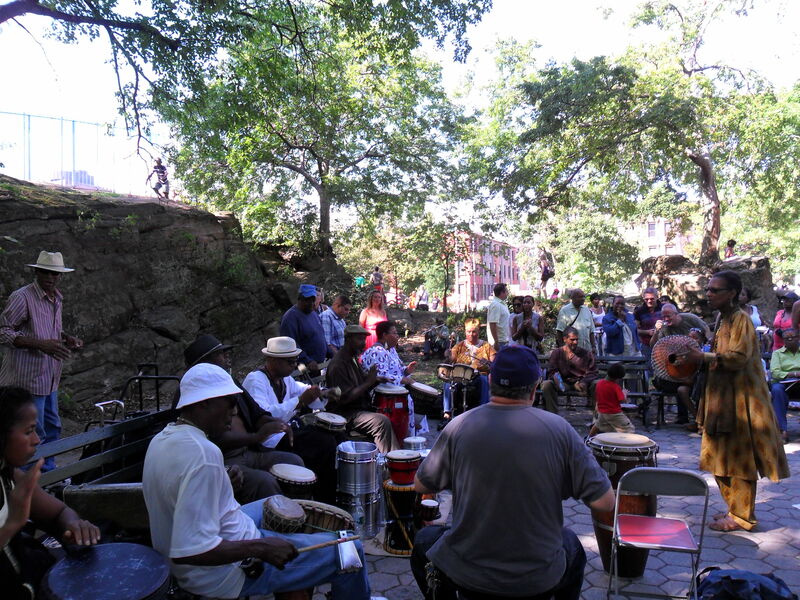 I heard that the garden has a history of hosting jazz, since 1971 – so many great recordings have been done there, for instance, Sonny Rollins’s solo album of 1985. 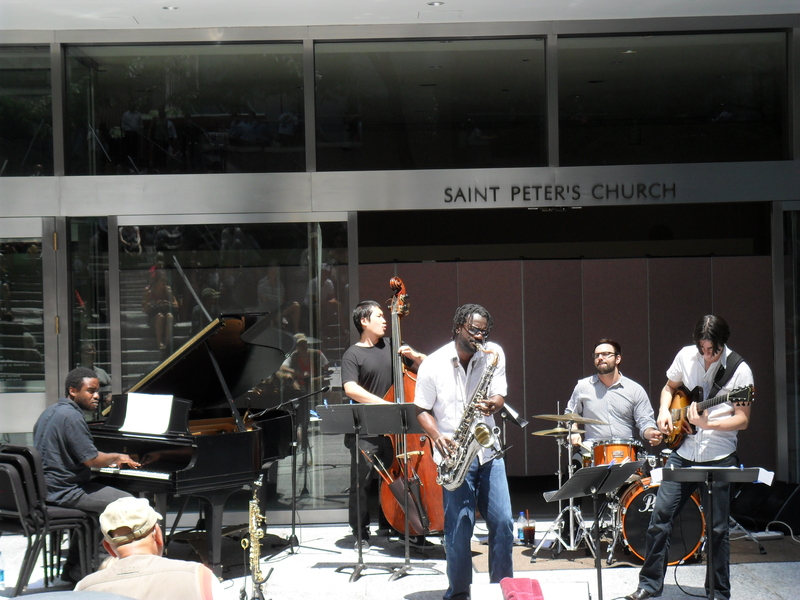 Really nice free outdoor concert @ St. Peter’s Church, Citigroup Center Plaza @ Lexington ave @ 53rd St. I liked it a lot, was such a well balanced and musical band! 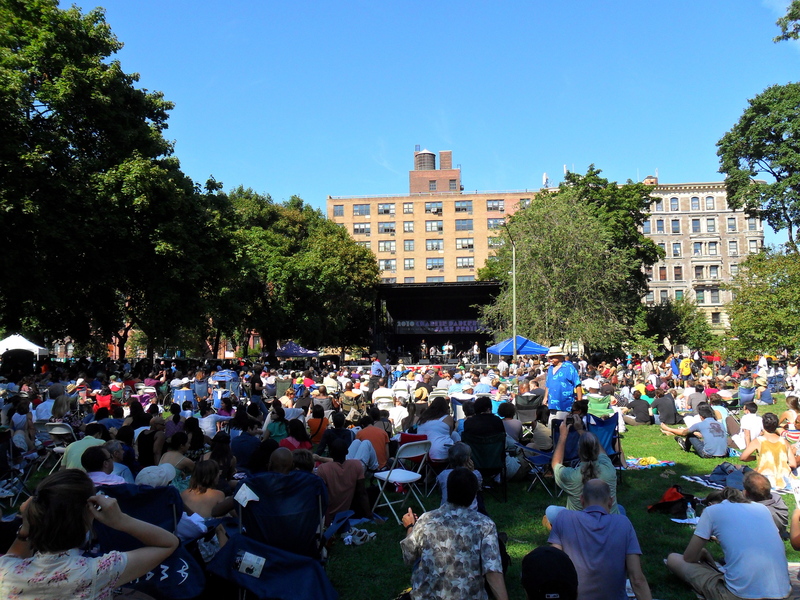 So great to enjoy events like these on a New York summer day… Myron Walden on saxophones, Mike Moreno on guitar, David Bryant on piano, Yasushi Nakamura on bass, Colin Stranahan on drums.